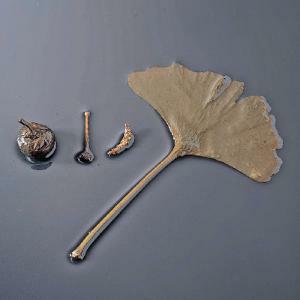 The specimens clearly show “naked seeds” indicative of gymnosperms. Contents: male strobilus, female strobilus, mature fruit, and leaf. All are packed in one jar, in 50% glycerine. Set of four.